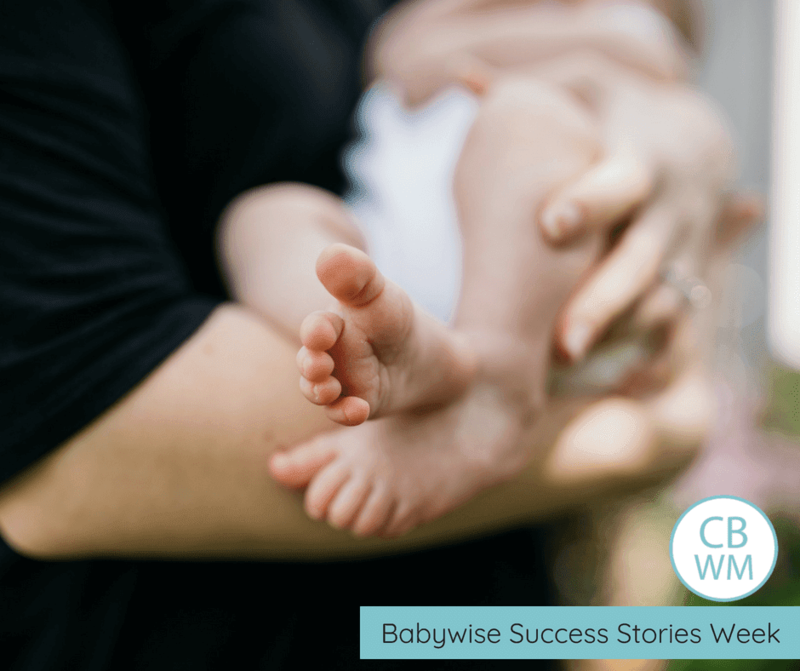 A Breastfeeding Journey with Babywise. Breastfeeding can absolutely work with Babywise. Here is one mom’s journey on how she did both. I often hear silly myths surrounding breastfeeding, as if there is only one right way to breastfeed (hint: the la leche league way). However, I have successfully breastfed all of my babies. With my first I was the first in my immediate family to ever breastfeed and knew NOTHING! Thus, when a big move coincided with mastitis and a growth spurt, I did begin supplementing. Health problems led me to wean earlier than I would have liked at 9 months. When my secondborn required me to pump and thicken every feed to avoid him aspirating in his sleep, I was nervous about my supply! But I ended up having plenty of milk and pumped on schedule until 10 months old when I weaned him. My thirdborn, having no health problems, allowed me to truly nurse until I was ready to wean. She nursed happily until 13 months old. We did 5 feedings a day until about 10/11 months and then I dropped to 4 feedings until starting to truly wean just before 13 months. The fourth time around, with her reflux well under control, I nursed happily until weaning her very gradually at 16 months old. My fifth is still nursing 5 times a day and going strong at 7 months old. He is much more active than his sisters so I won’t be surprised if he starts losing interest in staying still long enough to nurse for more than a few minutes by the time he turns one. But I’ll definitely be nursing him until then at least and then we’ll see how things go! My milk supply is abundant and I can easily work nursing into my day around my teaching schedule because I know when he’ll need milk and when he will be happily playing or sleeping. I am often out and about in the evenings at my other children’s activities or at church events and the only reason I am so free to participate with them is because I know I can put Max down for bed at 7:30pm and leave him with my husband at home, knowing he won’t need me for several hours. I love that I can enjoy that close nursing relationship with my infants and also be physically and mentally free to do things with my older children too. Previous Post Babywise: So Much More Than Schedules and Sleep Training!